The Zip Wire Company are very pleased and happy to bring you one of the best professional trolleys on the market. Made in the USA, the Impact Pro Zip Wire Trolley has many benefits including smoother running, enhanced rider experience, reduced cable wear, and decreased rider risk of injury. 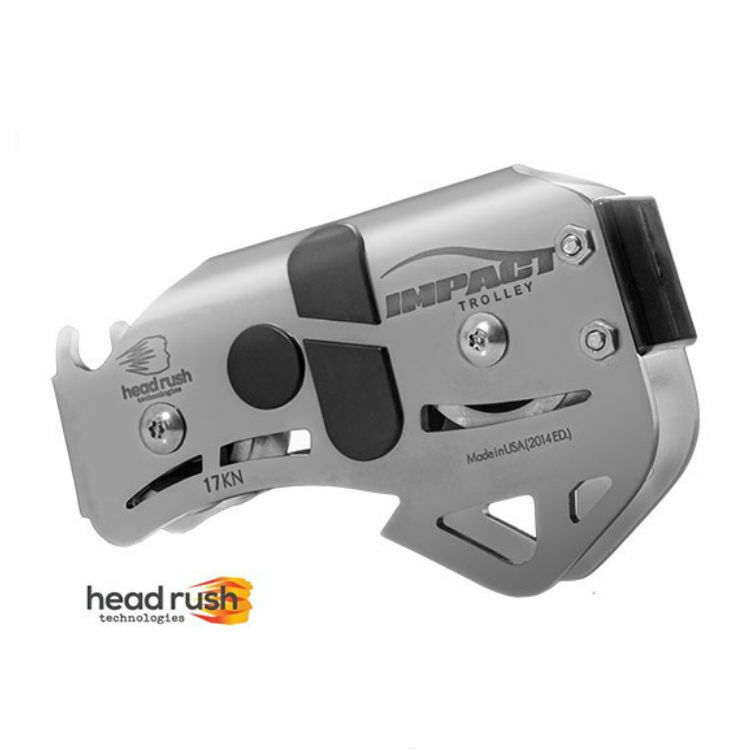 The Impact Pro Zip Wire Trolley is a brilliant trolley in the range by Headrush Technologies, that has been designed specifically for impact braking in the recreational and professional zip wire industry. The Impact Pro zip wire trolley has been designed and made for use on many types of zip wire lines including with or without attached braking systems. One of the best braking system products that is available on the market and is ideal for use with this trolley is the zipSTOP or the zipSTOP IR Braking system which will enhance your use of your zip wire no end by giving you a very smooth end to your ride.